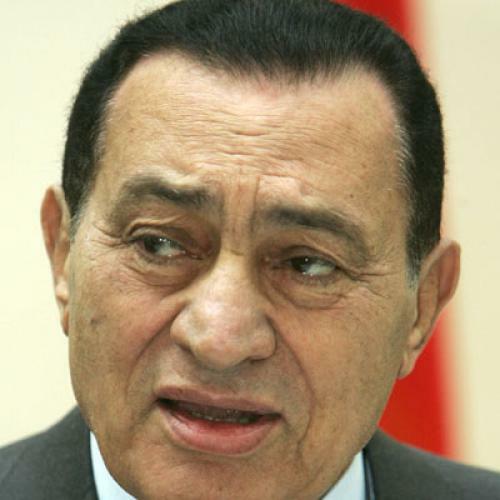 The trial of former Egyptian President Hosni Mubarak is being hailed as a landmark moment in Arab, if not world, history. And, in a certain sense, it is. The image of the once indomitable dictator wheeled into a courtroom on a gurney, flanked by the sons who might have been his heirs, but are now his co-defendants, affirms the primary achievement of Egypt’s revolt: namely, Mubarak’s ouster. For many Egyptians, the January uprising was always about ending Mubarak’s stifling 30-year rule and preventing him from pharaonically installing his son Gamal as his successor. Now that this has been accomplished, however, most appear willing to move on—even though the military regime that Mubarak fronted is still very much intact. Even as it marks a great achievement, in other words, the dictator’s trial will likely prove a substantial, if not insurmountable, challenge for Egypt’s youth protesters, who catalyzed the anti-Mubarak revolt and are still pushing for a more transformative, democratizing revolution. “The people who are saying [that the revolution is over] have been saying this from the day Mubarak stepped down,” says Islam Lotfy, an executive member of the Coalition of Revolutionary Youth, who has founded a new Islamist youth party. “The revolution is not marches and demonstrations. It is a huge process to change social life and the political system, and so on. So we’ve just started the process.” Yet in the six months since Mubarak resigned from office, the youth protesters have been unable to make much headway in advancing their causes. The activists’ deep internal divisions—their ranks include neo-Nasserist nationalists, revolutionary socialists, Islamists, and liberal democrats—have taken a toll on the movement, making it impossible to agree on the proper course for enacting political change. Given these realities, the only way for the protesters to stay relevant in the post-Mubarak era was to continue holding massive demonstrations. And the only way to hold massive demonstrations was by focusing on the one thing that just about everyone could agree on: that former regime officials, including Mubarak himself, should be brought to justice. But the July sit-in was, in most respects, a complete disaster. As the military accepted many of the protesters’ demands—including firing unpopular ministers, scheduling Mubarak’s trial, and offering payments to the families of those who were killed during the revolt—the protesters’ raison d’demonstration grew flimsier and public support plummeted. The three-week shutdown of Tahrir Square, which is downtown Cairo’s central thoroughfare, also incensed local businessmen, who sporadically clashed with the protesters and urged them to leave. Finally, when hard-line Islamists, known as Salafists, abandoned their commitment to another “unity” demonstration on Friday, July 29th and began calling for the institution of shari’a law, the youth protesters withdrew from the square in defeat. When military and Central Security Force police violently cleared what remained of the sit-in three days later, local businessmen cheered enthusiastically and some even joined the military in chasing protesters and destroying their tents. Yet the protesters fear that shifting away from demonstrations and towards politicking is a recipe for failure. To begin, they doubt that elections will be managed fairly. “Every power is trying to sabotage our efforts and rig the elections, so we don’t expect a clean election,” said activist Ahmed Salah. “That’s why we have to keep the streets active.” More importantly, however, liberal activists are especially dubious of their ability to use elections for furthering revolutionary change. Islamists are expected to achieve major gains in the forthcoming parliamentary elections, and will therefore exert tremendous influence in the drafting of Egypt’s new constitution. For the moment, however, this seems improbable. Though activists are planning demonstrations in support of a civil state on August 12th, Ramadan fasting, summer heat, and demonstration fatigue will likely complicate their efforts to re-energize the masses. Barring a major military miscue, Mubarak’s trial is likely to drain Egypt’s would-be revolution of its remaining oxygen. The liberalizing symbolism of Mubarak on the stand is, indeed, at odds with a still-autocratic reality. Eric Trager, the Ira Weiner fellow at the Washington Institute for Near East Policy, is a doctoral candidate in political science at the University of Pennsylvania, where he is writing his dissertation on Egyptian opposition parties.